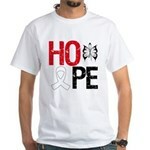 Gifts4Awareness.com has a new line of eye-catching cancer and disease awareness shirts, clothing and gifts in a range of vivid ribbon colors with matching whimsical butterfly and the word HOPE in a unique fragmented design and cool distressed font. Hope is truly a powerful word. Hope is a belief in a positive outcome related to events and circumstances in one’s life. 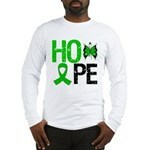 With this in mind, we’ve designed awareness apparel and gifts with the word HOPE in bold letters to bring attention to causes that are important to you and to help promote awareness for all types of cancers and diseases such as Alzheimer’s Disease, Breast Cancer, Brain Cancer, Cerebral Palsy, Colon Cancer, Diabetes, Leukemia, Lung Cancer, Melanoma, Multiple Myeloma, Pancreatic Cancer, Prostate Cancer, Parkinson’s Disease, Sarcoma, Thyroid Cancer and others causes. Our shop features cancer and disease awareness shirts and apparel in a variety of sizes and styles for men, women, teens and kids as well as buttons, stickers, mugs, caps, journals, mouse pads, banners, prints and other merchandise. 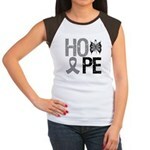 Here’s a sample of our stylish awareness gear. 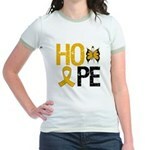 Please visit our site for all your awareness needs at http://www.Gifts4Awareness.com. With Awareness, There is Hope. Designs and images are owned by GiftsForAwareness.Com and not to be used outside of this blog or site. 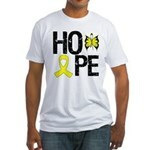 You can, however, use our GiftsForAwareness banner (above) to link to our store. Additionally, blogs posted here are for informational purposes and not to be construed as health advise. Seek the assistance of a medical professional for any questions or concerns.